After a long stretch of unseasonably cool and rainy days, the skies finally parted and the sun resurfaced at Mount Moosilauke on June 8. Ed Kern ’67 says he put in his order for good weather five years ago. 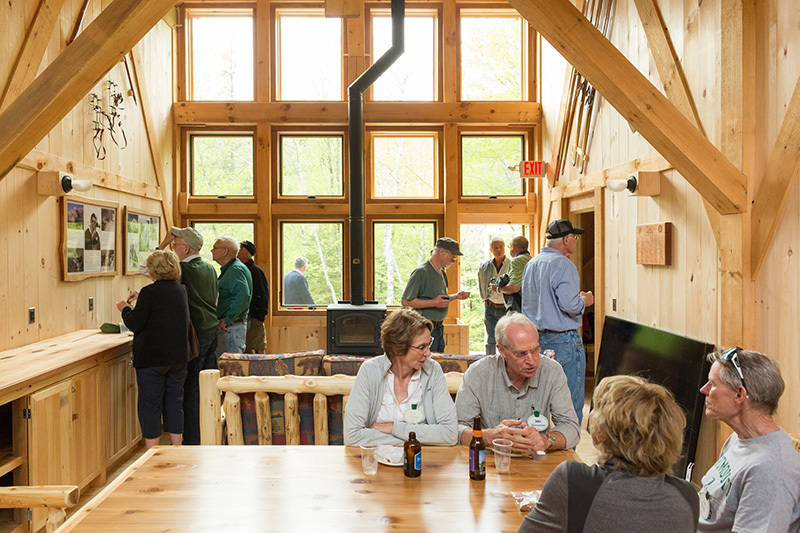 That’s when Kern first had the idea to rally his classmates to build a new bunkhouse at Moosilauke in time for their 50th Reunion. 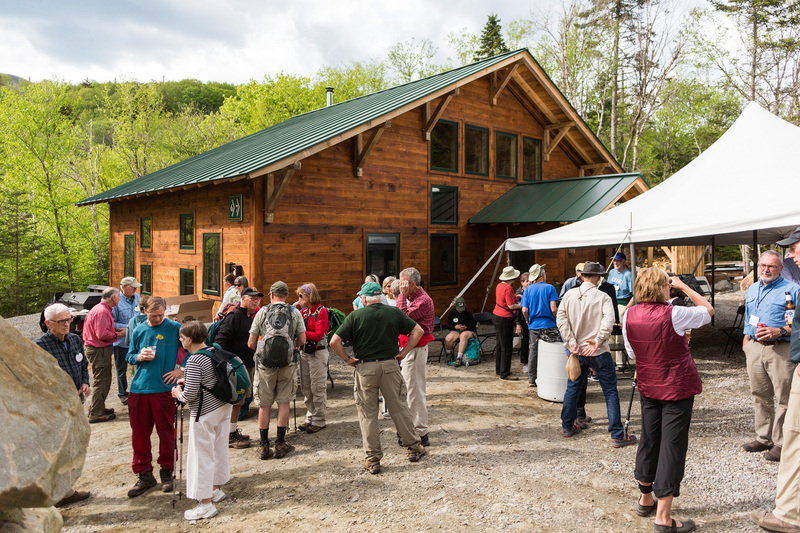 Now, 50 years after graduation and five years since the project began, Kern beamed as he surveyed the crowd gathered to celebrate the official opening of the Class of 1967 Bunkhouse. Prior to the ceremony, the Class was treated to a tour of the Ravine Lodge, which is currently under construction and slated to open in September. Once completed, the lodge and accompanying bunkhouses will truly represent Dartmouth’s spirit of adventure and commitment to the outdoors. More than 170 classmates contributed $500,000 to build the new bunkhouse which sits adjacent to the Ravine Lodge. The 1,400 square-foot bunkhouse will provide overnight lodging for 24 guests. The timber-framed bunkhouse features a soaring central social space and quiet back patio facing Baker River, which provides a continuous soundtrack of flowing water. The Class also raised $18,820 to provide solar panels on the roof of the Class of 1967 Bunkhouse beginning this summer. It’s the first power purchasing agreement sponsored by alumni to help the College’s sustainability efforts. 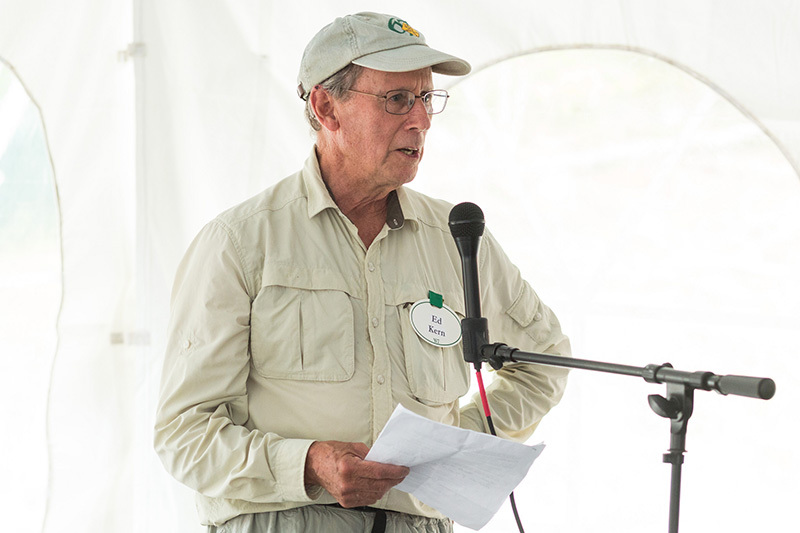 Keys to the bunkhouse were officially passed to Dan Nelson ’75, director of outdoor programs. The Outdoors Program Office manages student activities and College properties centered around the outdoors. Nelson says the graduating classes of the 60s have demonstrated a strong commitment to the outdoors and to Moosilauke. 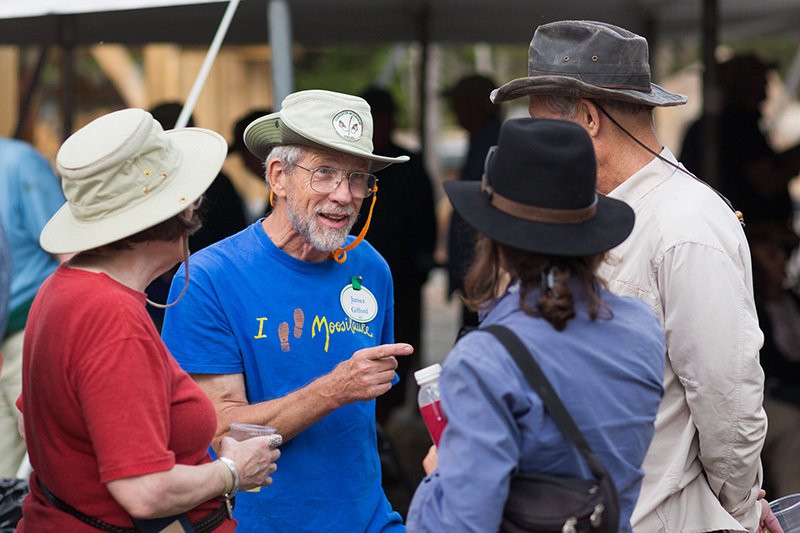 The Classes of 1965, 1966, and 1967 have each contributed a new bunkhouse to Moosilauke’s overnight offerings as part of their 50th reunion years. In 2010, the Class of 1984 led efforts to build the Class of '84 Crew Cabin, followed by the Class of 1974, which build a new bunkhouse. 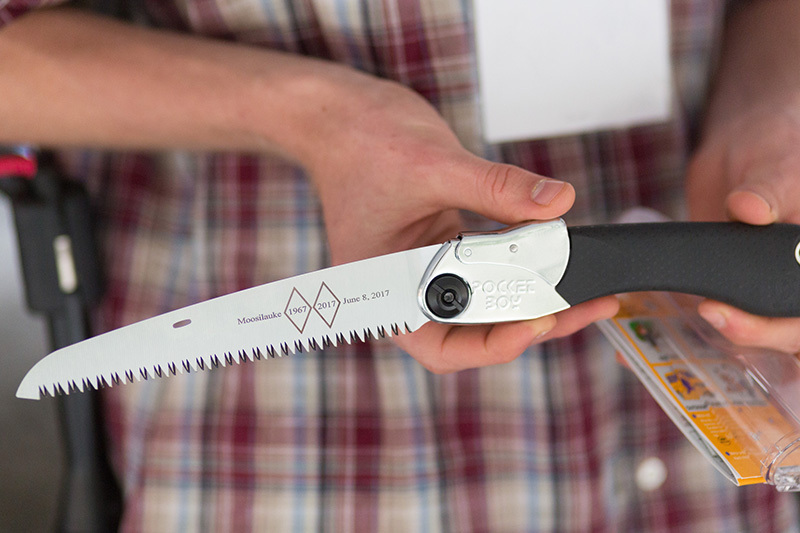 The classes’ rebuilding efforts were led by David Hooke ’84, who runs TimberHomes Vermont, a business that specializes in community-powered timber framing projects. "This bunkhouse will provide a combination of family-style rooms and larger group rooms, it has a great view, and it replaces a bunkhouse that was well-loved but was worn-out and had outlived its useful life,” said Nelson. “It is equipped so we can use it for special programs in the winter as well." The day started with the Ned Gillette Memorial Ascent to the Moosilauke Summit, a fitting tribute to classmate Ned Gillette ’67; an athlete, adventurer, and explorer who died in 1998. Joining in the festivities was the Class of 2017. The two classes had formed a bond through the Office of Alumni Relations’ Class Connections program, which partners each undergraduate class and the class 50 years out. “The 17s helped with the physical labor, but they brought their spirit, their youth, and their enthusiasm to this project and the class,” said Sam Ostrow ’67, president of his class. Three days after the dedication of the bunkhouse, the Class of 1967 marched in the commencement procession with Jackson and his classmates, just as the Class of 1917 marched alongside the ’67s 50 years ago.